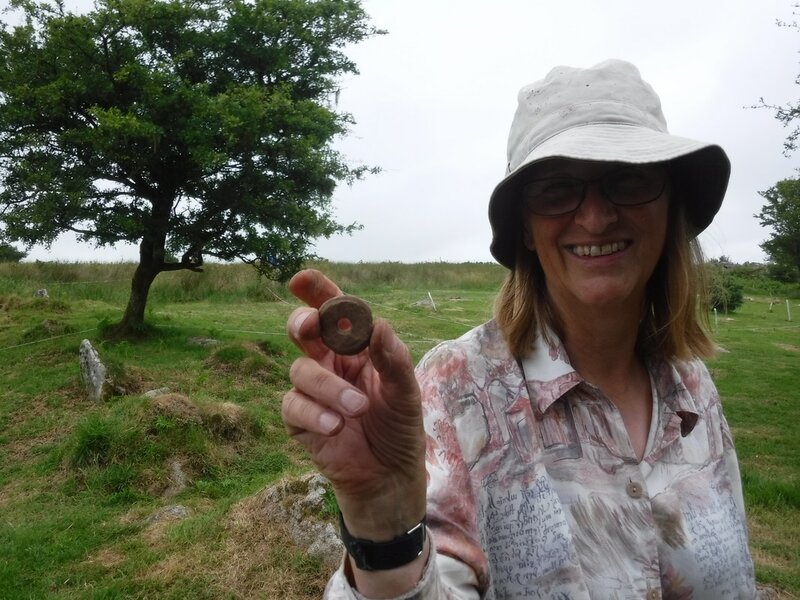 First pre-historic find - a spindle. 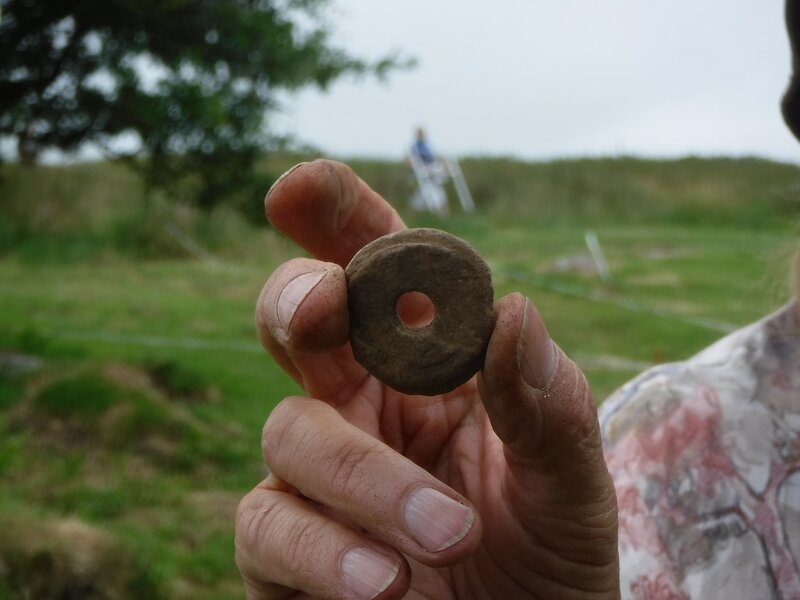 This aid to weaving was found by Margaret, a geologist, who thought, 'This doesn't look like a stone!' It was near the top of the round house wall, on the south west aspect. Iron age? At the end of day 2, but still some way to go to the floor(s). 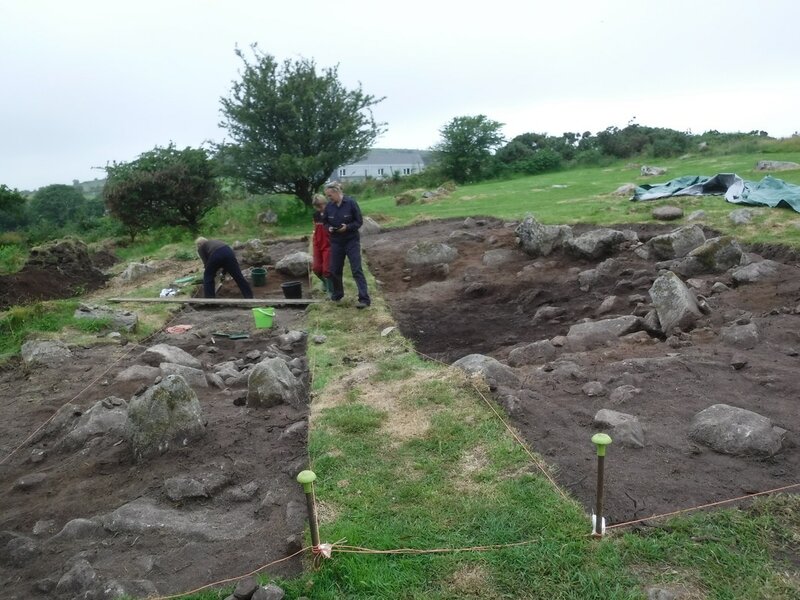 A lot of peaty soil has been removed, and a sense of the size of the house is now beginning to emerge. 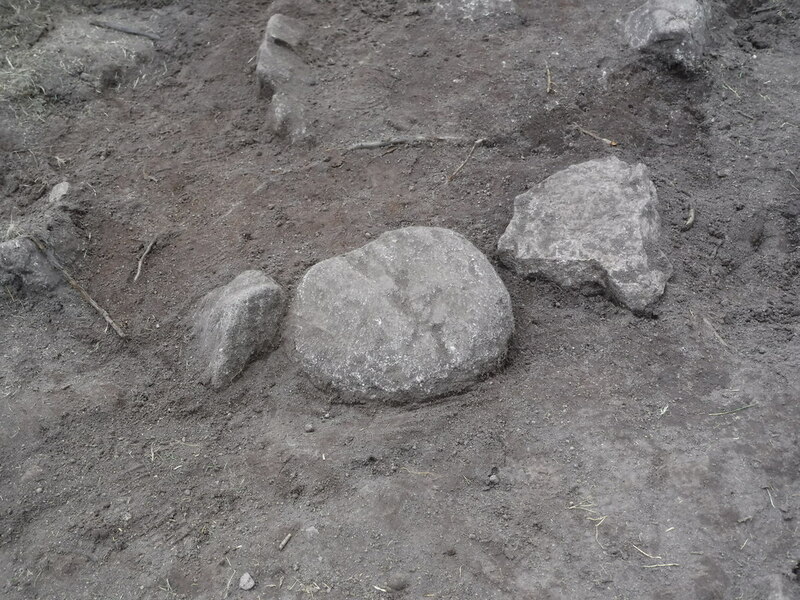 A worked granite, possibly a grinding stone. But medieval, probably, and not finished.